[Architects], Group of Twelve, Including Charles Luckman, Philip Johnson, Minoru Yamasaki, I.M. 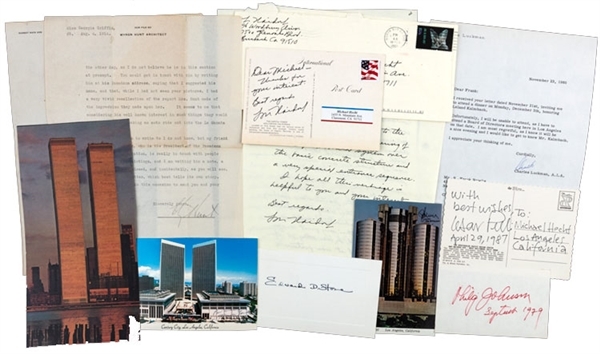 Pei, Myron Hunt, Cesar Pelli, Frank Gehry, and Others. Group of twelve architects: Myron Hunt, 1914 nice content TLS, saying the only friend or acquaintance he has who really buys paintings is H.E. 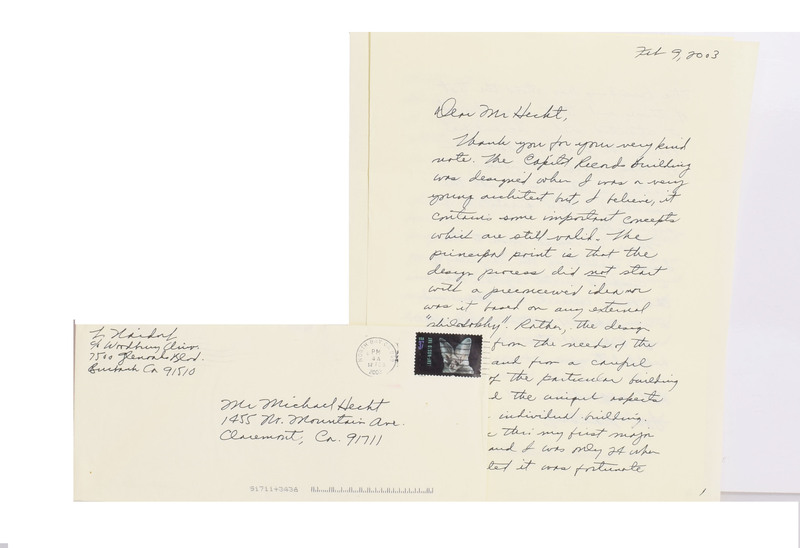 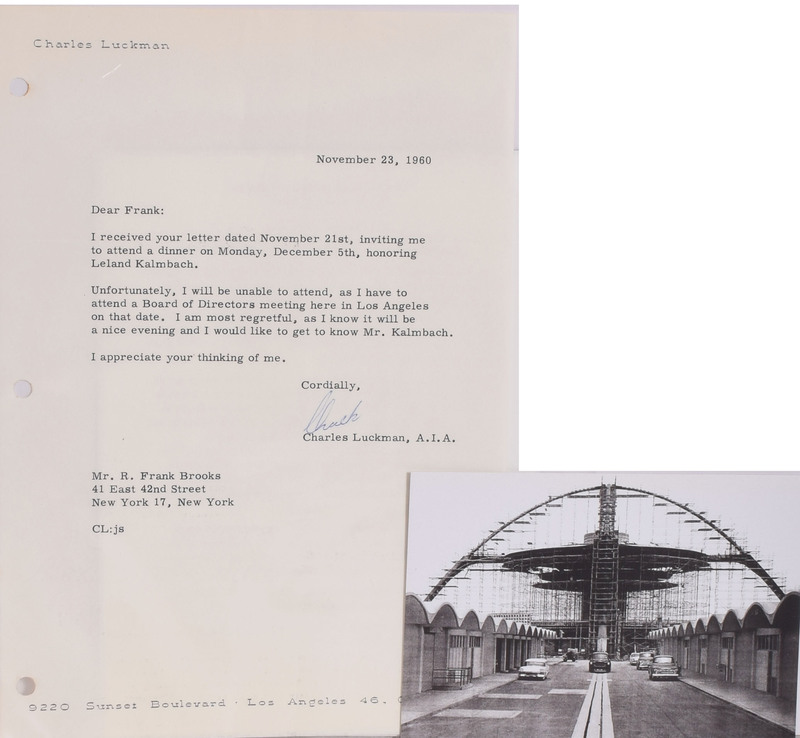 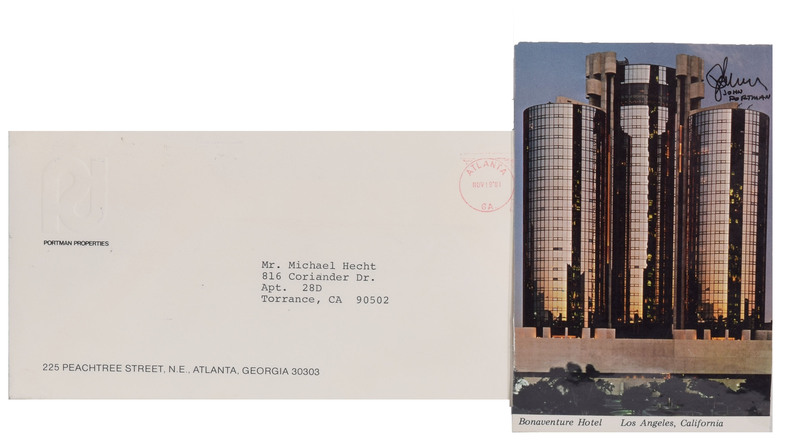 Huntington; Charles Luckman, 1960 TLS, declining an invitation; Philip Johnson, signed, dated 3x5" card; Minoru Yamasaki, color ISP from a publication of the Twin Towers of the World Trade Center, and a color postcard of Century City in L.A. signed and inscribed; Edward D. Stone, signature on 3½ x 5½" card; John Portman, signed postcard; Cesar Pelli, signed, inscribed and dated postcard; I.M. 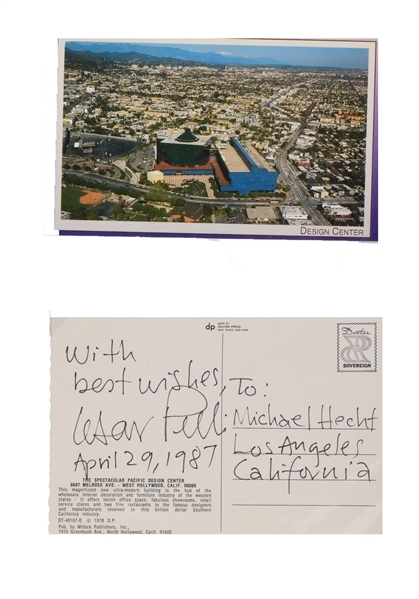 Pei, signature on 3x5" card; Frank Gehry, signed postcard; Richard Meier, signed, dated 3 x 5" card; Lou Naidorf, 2003 ALS re designing The Capitol Building in L.A., and a signed postcard. Total of 14 signed items. 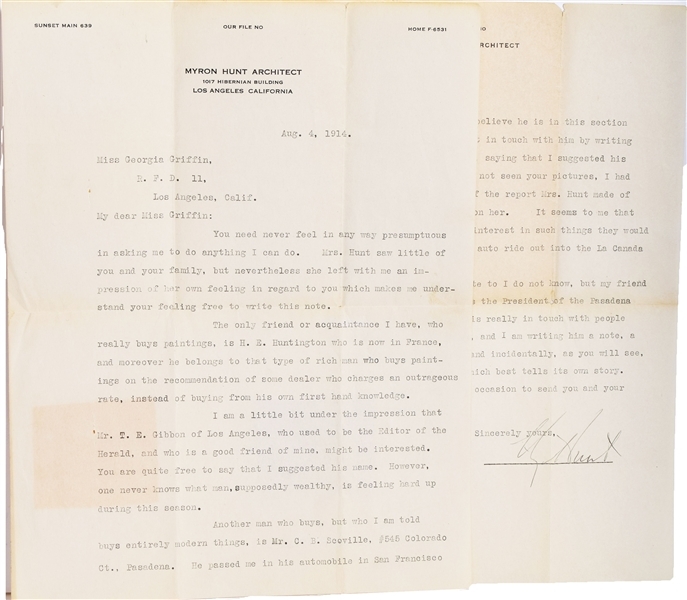 Overall fine.